A longlist of 28 projects were assessed by a panel of experts. The judges used their experience within the sector and considered a number of factors including originality, innovation, form, function sustainability and context to reach their shortlist. This year’s esteemed judging panel included: Elad Eisenstein, Director Urban Design of Mecanoo architecten, Nicholas Garrison, Partner of FXFOWLE, Patricia Ann Lady Hopkins, Co-founding Partner of Hopkins, Tim Sahuri, Principal of SAHURI + partners architecture inc, Peter Murray, Chairman of New London Architecture and David Naessens, Co-director of Carr Cotter Naessens Architects. 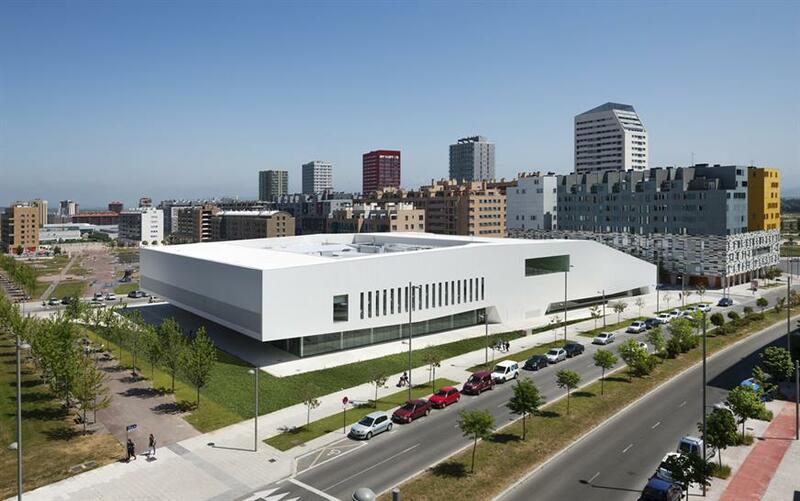 The Salburua Civic Centre is located in the Basque City of Vitoria-Gasteiz, in Northern Spain and is a building that combines sporting, cultural and administrative uses to service the neighbourhood of Salburua. With a limited budget one of the main objectives of the client was to build a centre as a lighthouse for the community. The intention was to attract people inside, and in turn to spread its spirit and activities to the outside community. Referred to as a ‘Journey Through Light’, the Len Lye Centre in New Plymouth, New Zealand is a contemporary art centre situated in the countries oil and gas producing province. 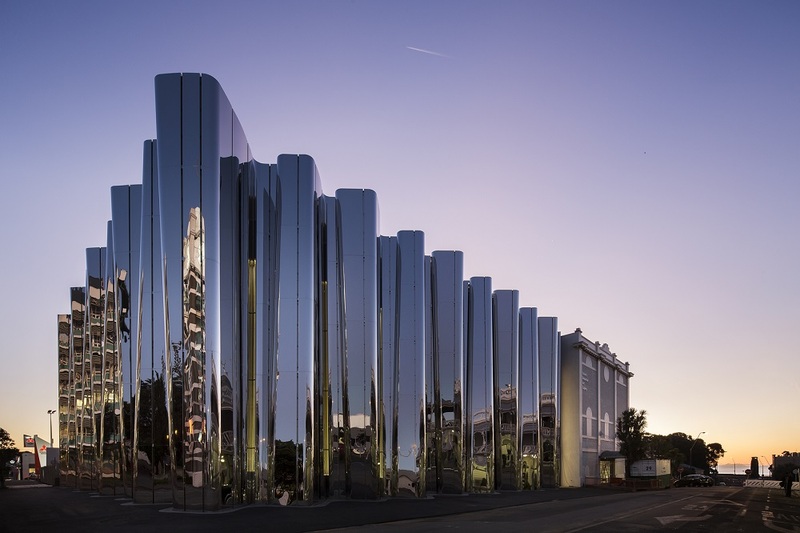 The design is influenced by the philosophy of Len Lye who was one of New Zealand’s most notable artists primarily known for his experimental films and kinetic sculpture. Led by a growing interest locally and internationally in his work, the centre was designed adjoining the existing town’s art gallery – a converted theatre. The art facility houses Lye’s archive, display galleries, an education centre and a 62-seat cinema. The Broad in L.A. merges a philosophical and functional response to the core missions of the Broad Art Foundation: maximum visibility of their contemporary art collection and optimal transparency of their archives and lending repository. 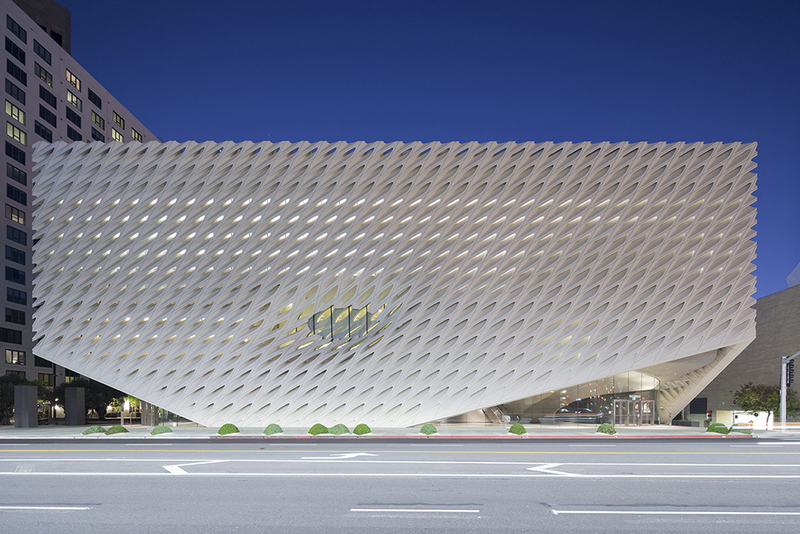 The design, dubbed “the veil and the vault,” presents a new and unique conceptual shift in archive and exhibition design by inverting conventional notions of museum planning and programming. 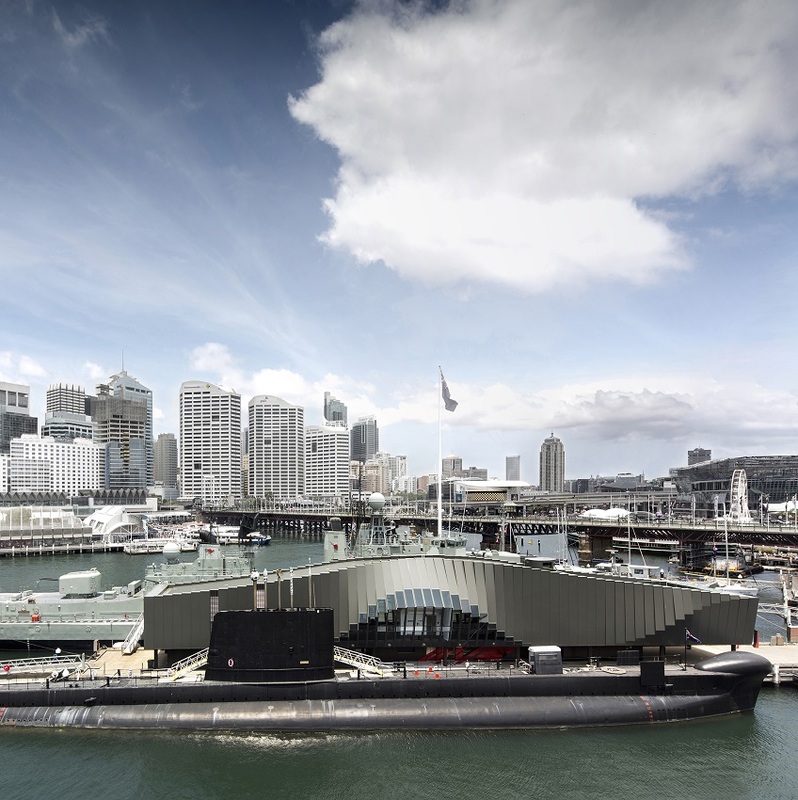 Anchored to the south wharf of Sydney’s Darling Harbour, The Waterfront Pavilion at the Australian National Museum was built to mark the centenary of World War I and commemorate 100 years of service by the Royal Australian Navy. 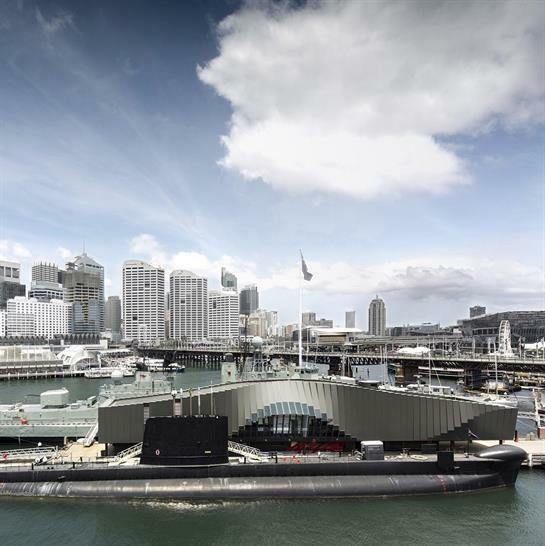 The purpose of this museum pavilion building is to create a transition experience for visitors from the waterfront dock onto the two naval vessels HMAS Vampire and HMAS Onslow. On a tight budget and built on a narrow existing wharf structure, the design seeks to bring the narratives of war to life and significantly enliven the visitors relationship with the vessels, waterfront and broader museum precinct. The articulated facade of the pavilion compliments the scale, form, colour of the vessels and the broader marine environment. 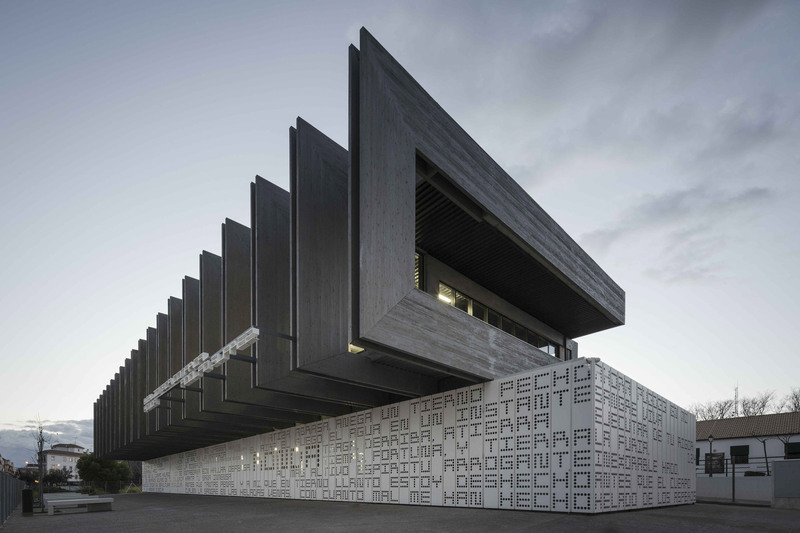 The Public Library Ronda located in Malaga, Spain was constructed on a reduced budget and according to the parameters set as winner of a tender offer in 2012 for a Bus Station and Municipal Library. The municipal library is the first phase of this development. 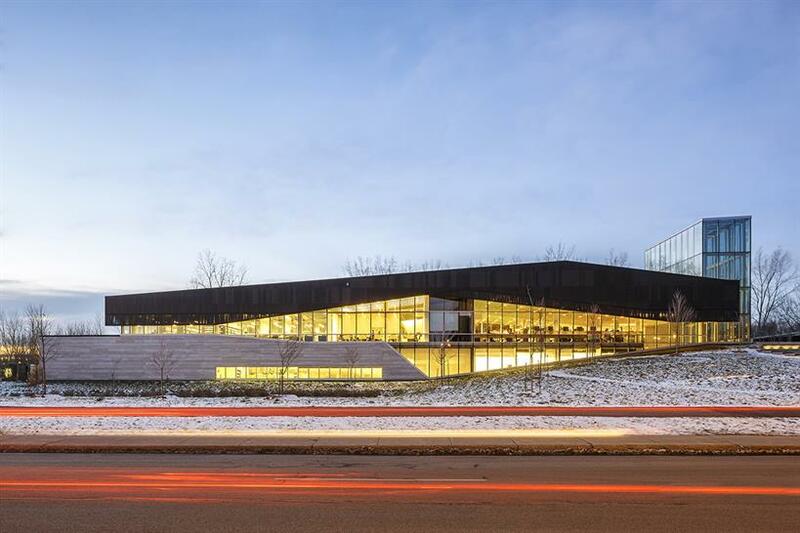 Located in Montreal, the idea behind the library's design was to create new connections and experiences that would reinforce its value to the community and contribute to the creation of a new and attractive centre for cultural activities. In this project, the architecture and landscape blend and compliment one another. The architecture changes shape, unfolds, spreads out and rises up, reducing the boundaries between the built space and the site. This modern building connects the city with the surrounding landscape, and serves as a point of connection that allows users to explore its site. Discussing the connection between Bibliotheque du Boise within its surrounding context, Nicholas expressed: “Successfully blurring landscape and building, the design consistently and elegantly manages to be both "figure and ground", object and garden. Its forms and materials bring outside-in, and they are equally compelling in the dead of winter as they are in the full of summer. It is a refreshing commentary on the typological suburban, community library.” Nicholas also felt that the LEED Platinum achievement was also noteworthy. We would like to say a big thank you to all those who entered the WAN Civic Buildings Award and to our judges, for their wealth of experience and support in this year’s award. The winner will be announced on September 6.